Aly Munro with Sean Day, 2014. Aly's investigative style combined with a laid back, outgoing personality makes for entertaining and informative interviews. Aly has been apart of the Mississauga Steelheads Broadcast crew since 2014. 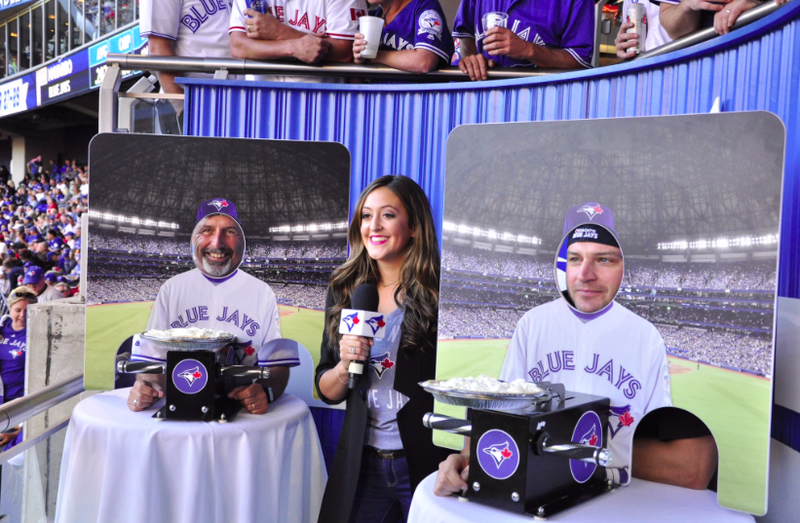 Aly Munro Hosting a Friday Night Fan Festival for the Toronto Blue Jays in July 2015. Aly began her career as the in-game host for the Mississauga Steelheads of the Ontario Hockey League. She spent three years in this position until being hired by the Toronto Blue Jays. Aly worked as their Events and In Game Host for the two historic seasons in 2015 and 2016. Aly has been asked to host numerous conferences and dinners including the Mississauga Sport Awards Dinner, the Durham College Sports Business Conference and the Ontario Sport Awards. 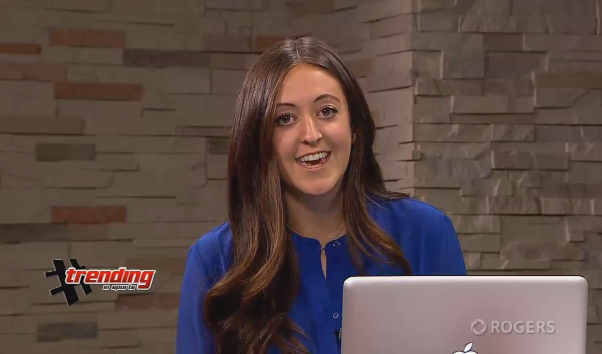 Aly Munro mediates a panel on a show she designed and pitched, #Trending In Sports. Aly has anchored multiple sports shows in the Peel Region, but is most proud of "#Trending In Sports" - a show she designed and pitched to Rogers TV in 2013. After three seasons, it was extended to an hour long program. Aly works with Ryan Dunn to create episode rundowns and book guests while also hosting the show. CLICK IMAGE to read more about Aly filling in on Colour Commentary for an Ontario Hockey League Game!